In 1794 the first Flowing Hair Silver Dollar was struck with a mintage of only 1,758. Draped Bust Dollars were minted from (1795-1804). The 1804 Dollar is probably the most publicized rare coin within the realm of U.S. coinage. Although dated 1804, they were not struck until 1834-1835, with less than 20 known. They were struck for presentation proof sets and at the request of collectors. Starting in 1840, the mint began issuing silver dollars for circulation. Seated dollars were struck from (1840-1873), most of them with low mintage numbers. In order to compete with dollar-sized coins in Asia, the mint struck Trade Dollars from (1873-1885). They were still legal tender within the U.S., but after the price of silver declined, congress limited production to export only. The Morgan Dollar, easily America’s favorite coin, was issued under the Bland-Allison Act of 1878. Designed by George T. Morgan, silver dollars were issued from (1878-1904) and resuming in 1921. Under the Pittman Act of 1918, 270,232,722 silver dollars were melted due to low demand, and later in 1921, coinage of silver dollars resumed. 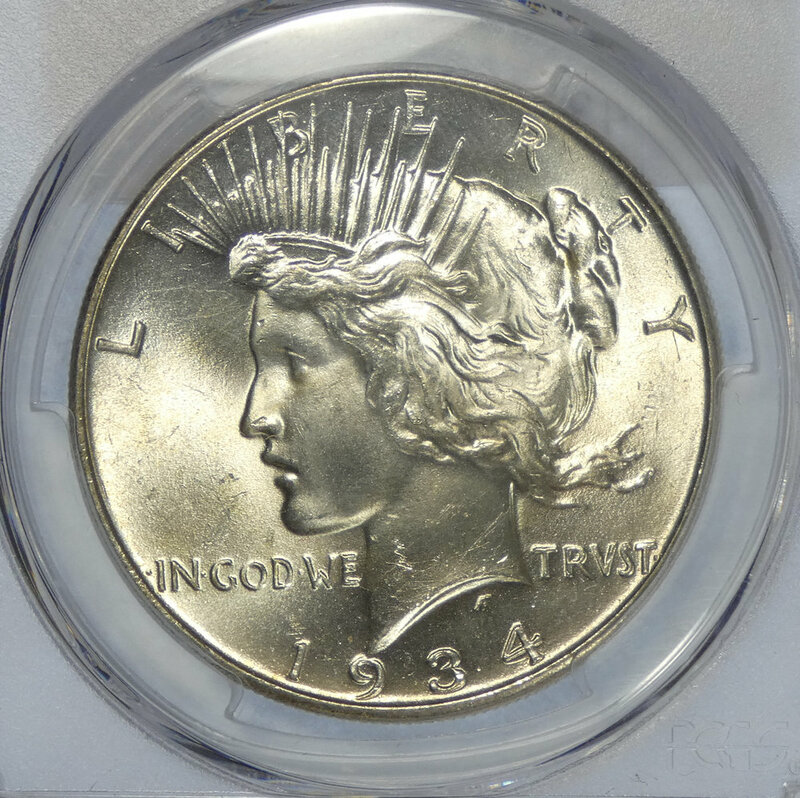 Peace dollars were struck from (1921-1935) and were the last of the 90% mint issue silver dollars.